The Active Directory data store (directory) is the database that holds all directory information such as information on users, computer, groups, other objects, and the objects that users can access. It also includes other network components. The Active Directory data store is stored on the server’s hard disk by means of the Ntds.dit file. The file has to be stored on a drive that is formatted with the NTFS file system. The Ntds.dit file is placed in the Ntds folder in the systemroot. When changes are made to the directory, these changes are saved to the Ntds.dit file. Because all the data in Active Directory is stored in one distributed data store, data availability is improved. A centralized data store means less duplication and needs less administration. Because domain controllers manage domains, each domain controller within the domain hosts a write copy of the Active Directory directory. This means that if one domain controller is unavailable, users, computers, and programs are still able to access the Active Directory data store hosted on a different domain controller in the particular domain. When changes are made to the data store on one domain controller, these changes are replicated to the remainder of the domain controllers within the domain. Because of Active Directory replication, domain controllers in a domain remain synchronized with one another. 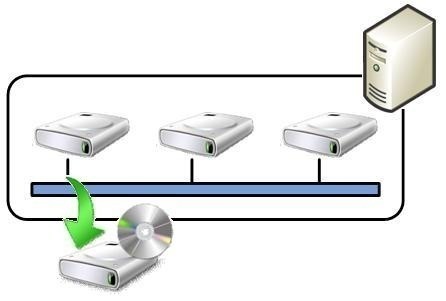 Active Directory replication occurs automatically. Only domain data, configuration data, and schema data are replicated. Information stored in Active Directory is not all placed in the identical location. The different locations wherein data is stored is called directory partitions. The domain partition holds information about the domain such as users and resources in the domain. The configuration partition contains information on the Active Directory structure such as the configuration of the domains, domain trees, and forests. The schema partition stores information on object classes and attributes. Domains, organizational units (OUs), domain trees and forests are considered logical structures. Sites and domain controllers are considered physical structures. Domains are the main logical structure in Active Directory because they contain Active Directory objects. Network objects such as users, printers, shared resources, and more are all stored in domains. Domains are also security boundaries. Access Control Lists (ACLs) control access to objects in the domain. The domain functional level enables additional Active Directory features. A user can do this by raising the domain controllers’ domain functional level within the domain. In Windows 2000, the domain mode concept was used and not the domain functional level. The domain functional levels that can be specified are Windows 2000 Mixed, Windows 2000 Native, Windows Server 2003 Interim, and Windows Server 2003. Organizational Unit (OU): An OU is a container that enables users to organize objects such as users, computers, and even other OUs in a domain to form a logical administrative group. An OU is the smallest Active Directory component to which users can delegate administrative authority. A domain can have its own unique OU hierarchy. Domain Trees: When multiple domains are grouped into a hierarchical structure by adding child domains to a parent domain, a domain tree is being created. Domains are regarded as being part of the same domain tree when they have a contiguous naming structure. A two-way transitive trust relationship is automatically created between the parent domain and child domains when the child domain is created. Forests: A forest is the grouping of multiple domain trees into a hierarchical structure. Domain trees in a forest have a common schema, configuration, and global catalog. Domains within the forest are linked by two-way transitive trust. Through the forest functional level, users can enable additional forest wide Active Directory features. The forest functional levels that can be set are Windows 2000, Windows Server 2003 Interim, and Windows Server 2003. 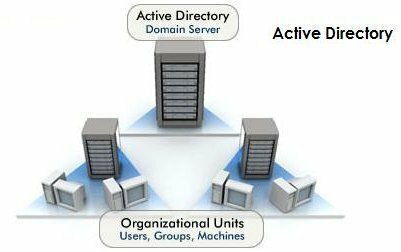 Sites: In Active Directory, sites are formed through the grouping of multiple subnets. Sites are typically defined as locations in which network access is highly reliable, fast, and not very expensive. Domain Controllers (DCs): A domain controller is a server that stores a write copy of Active Directory. They maintain the Active Directory data store. Certain master roles can be assigned to domain controllers within a domain and forest. Domain controllers that are assigned special master roles are called Operations Masters. These domain controllers host a master copy of particular data in Active Directory. They also copy data to the remainder of the domain controllers. There are five different types of master roles that can be defined for domain controllers. Two types of master roles, forest-wide master roles, are assigned to one domain controller in a forest. The other three master roles, domain-wide master roles, are applied to a domain controller in every domain. The PDC Emulator is a domain-wide master role applied to a domain controller that operates like a Windows NT primary domain controller. This role is typically necessary when there are computers in one’s environment running pre-Windows 2000 and XP operating systems. Schema class objects (schema classes): Define the objects that can be created and stored in Active Directory. The schema attributes store information on the schema class object when a new class is created. A schema class is therefore merely a set of schema attribute objects. Schema attribute objects (schema attributes): Schema attributes provide information on object classes. An object’s attributes are also called the object’ properties. Although Active Directory includes a large number of object classes, additional object classes can be created if necessary. These additions are known as extensions to the schema. Extensions can only be performed on the domain controller acting the Schema Master role. The object classes that can be used on access control lists (ACLs) to protect security objects are User, Computer, and Group. These object classes are called security principals. A security principal has a Security Identifier (SID), which is a unique number. A security Principal’s SID consists of the security Principal’s domain and a Relative ID (RID). The RID is a unique suffix. Class Derivations: Set a way for forming new object classes with existing object classes. Schema Rules: The Active Directory directory service implements a set of rules into the Active Directory schema that control the manner in which classes and attributes are utilized and what values, classes, and attributes can include. Schema rules are organized into Structure Rules, Syntax Rules, and Content Rules. Structure Rules: The structure rule in Active Directory is that an object class can have only specific classes directly on top of it. These specific classes are called Possible Superiors. Structure rules prevent users from placing an object class in an inappropriate container. Syntax Rules: These rules define the types of values and ranges allowed for attributes. Content Rules dictate what attributes can be associated with a particular class. The global catalog is a central information store on the objects in a forest and domain that improves performance when searching for objects in Active Directory. The first domain controller installed in a domain is designated as the global catalog server by default. The global catalog server stores a full replica of all objects in its host domain and a partial replica of objects for the remainder of the domains in the forest. The partial replica contains those objects that are frequently searched for. It is generally recommended to configure a global catalog server for each site in a domain. Active Directory Sites and Services console can be used to set up additional global catalog servers. Active Directory enables users to perform policy based administration through Group Policy. Through group policies, users can deploy applications and configure scripts to execute at startup, shutdown, logon, or logoff. Users can also implement password security, control certain desktop settings, and redirect folders. 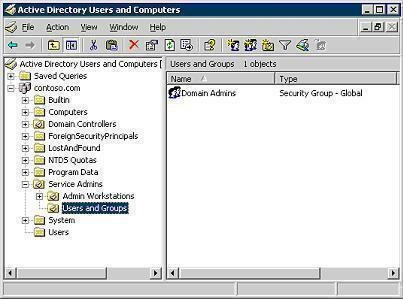 When users create new group policies in Active Directory, the policy is stored as Group Policy Objects (GPOs). In Active directory, users can apply a GPO to a domain, site, or Organizational Unit. A canonical name is merely a different manner of depicting the object’s DN in a method that is simpler to interpret. Relative distinguished name (RDN): The RDN identifies a particular object within a parent container or OU. Globally unique identifier (GUID): A GUID is a unique hexadecimal number that is assigned to an object at the time that the object is created. The GUID of an object never changes. User principal name (UPN): The UPN is made up of the user account name of the user and a domain name that identifies the domain that contains the user account. In Active Directory, replication ensures that any changes made to a domain controller within a domain are replicated to all the other domain controllers in the domain. Active Directory utilizes multi-master replication to replicate changes in the Active Directory data store to the domain controllers. With multi-master replication, domains are considered peers to one another. With Windows Server 2003, the Knowledge Consistency Checker (KCC) creates a replication topology of the forest to ensure that the changes are replicated efficiently to the domain controllers. A replication topology reflects the physical connections that domain controllers use to replicate the Active Directory directory to domain controllers in a site or in different sites. Intra-site replication occurs when the Active Directory directory is replicated within a site. When replication occurs between sites, it is known as inter-site replication. Since the bandwidth between sites is typically slow, information on site link objects identifies the most favorable link that should move replication data between sites in Active Directory. Parent/Child trust: A parent/child trust relationship exists between two domains in Active Directory that have a common contiguous DNS namespace and belong to the identical forest. This trust relationship is established when a child domain is created in a domain tree. Forest trust: A forest trust can be created between two Active Directory forests. It is very nice information about Active Directory. It was a good informative article….Thanks a lot…. Got a much broad view about AD. Thank you for the Information……. Its Very clear to understand AD. Thank you I deeply appreciate your efforts. Very clear to understand! I have a couple of questions if can be answered..
1. What is the Type of Relationship between Root Domain and Child Domain? Can it be changed? 2. How to back up the active directory? Steps..? The best one ot understande. The best one to understande. 261 queries in 0.560 seconds.